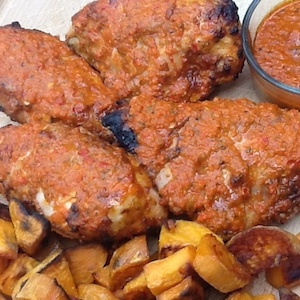 Piri Piri chicken couldn’t be easier and tastier. This flavourful Portuguese chicken recipe is perfect for the barbeque or can be prepared in the oven. Score chicken skin and prick for with to help marinade penetrate the chicken. Cover and marinate for 30 minutes. If possible marinate for a couple of hours to allow marinade to fully penetrate chicken.